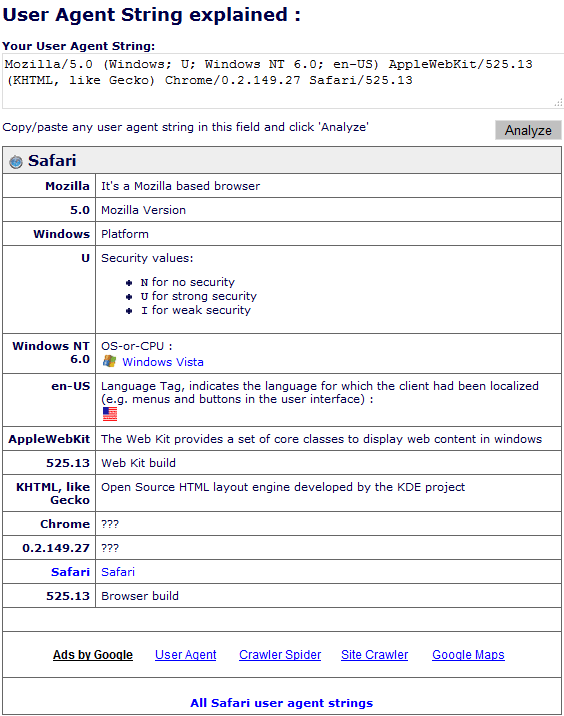 However after a quick inspection of the user-agent I soon realized that they didn't create a new browser just a slight modification of Apple Safari. It is Safari with just a more standard Windows interface, something Apple should have really done. They even copied it all the way down to the great XML support that Safari has. 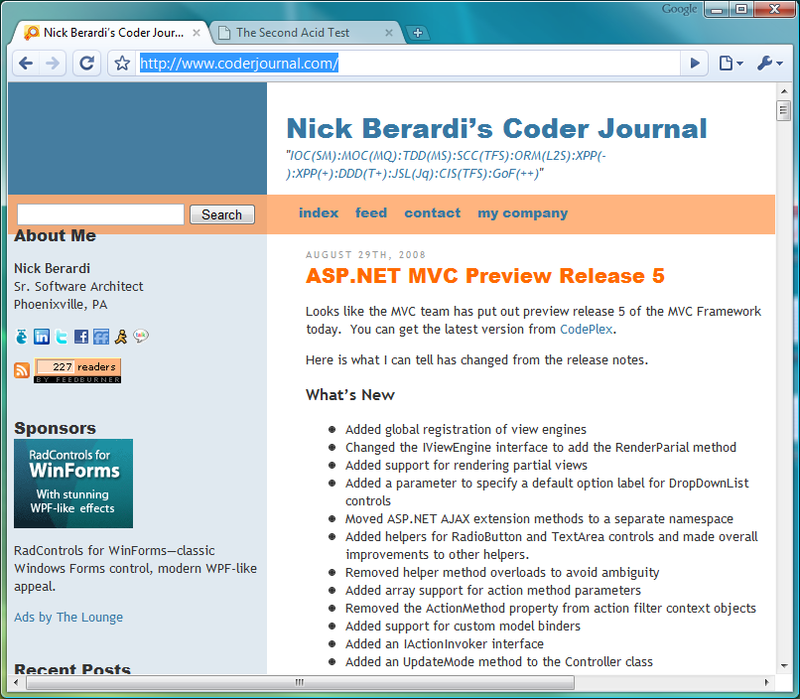 Here are some more of the screen shots from Chrome. I honestly would wait and not give this any air time, but I know that won't be the case because everybody is already fawning over it. Now thanks to Google and the slight modifications they made we now have a 5th browser that us developers now have to support.